« The Cornish Pasty–on the map! From the mid-September to the middle of November I combine my walks with a quest for walnuts. I call it walnutting, and I’m nutty about it. It has become a little obsessional. 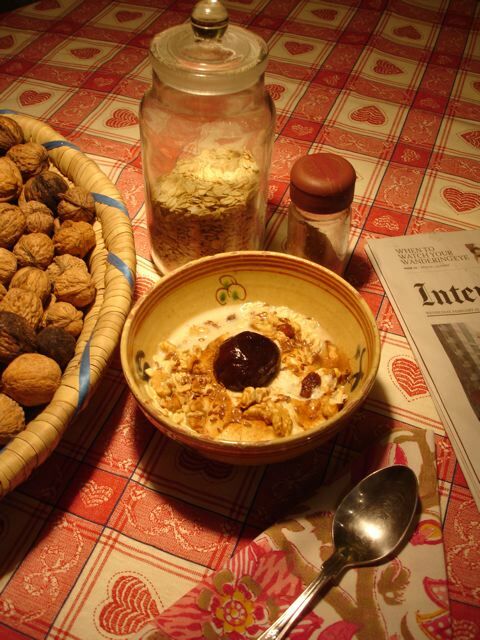 I know every walnut tree within 5 kilometres, and roughly when the nuts will mature and drop. A night of high winds and torrential rain during this period can bring unexpected blessings, because there could be rich pickin’s, as they say in Cornwall, in the morning. You have to tread carefully or you’ll crush them, but a slight roll under your foot can mean treasure beneath! When they fall on public paths or on the roadside verges, anyone can harvest them. 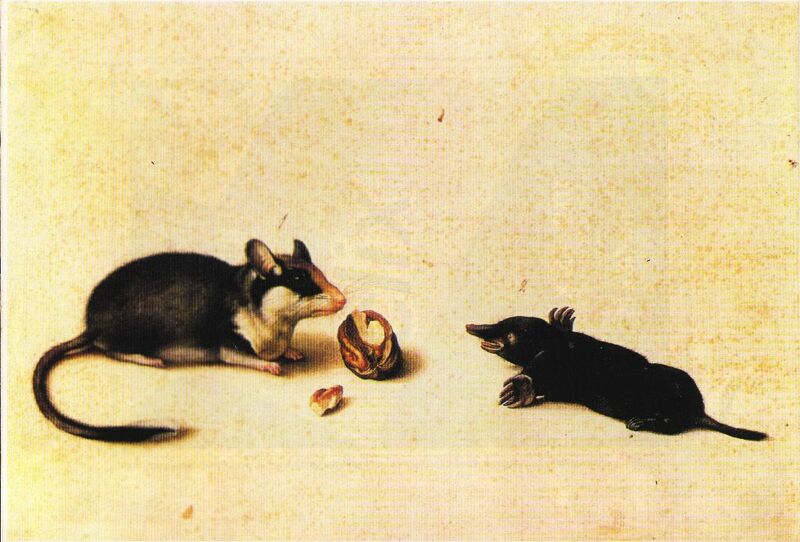 Walnuts are a super food— even the two little critters pictured below, painted over four hundred years ago, knew they were worth fighting for. Walnuts are full of omega 3’s–the good fats–and rich in proteins, potassium (good for the heart), zinc and iron. They are delicious in salads and in sauces. Dry roast them in a small pan and they taste even better. Three tablespoons of large oat flakes, an untreated dried apricot–chopped, a teaspoon of linseeds, an Agen prune, half a tub of no- fat organic yoghurt, a sprinkling of cinnamon and unsweetened oat milk.